Watch our transit talk on Seattle Channel – U District, Lets Go! 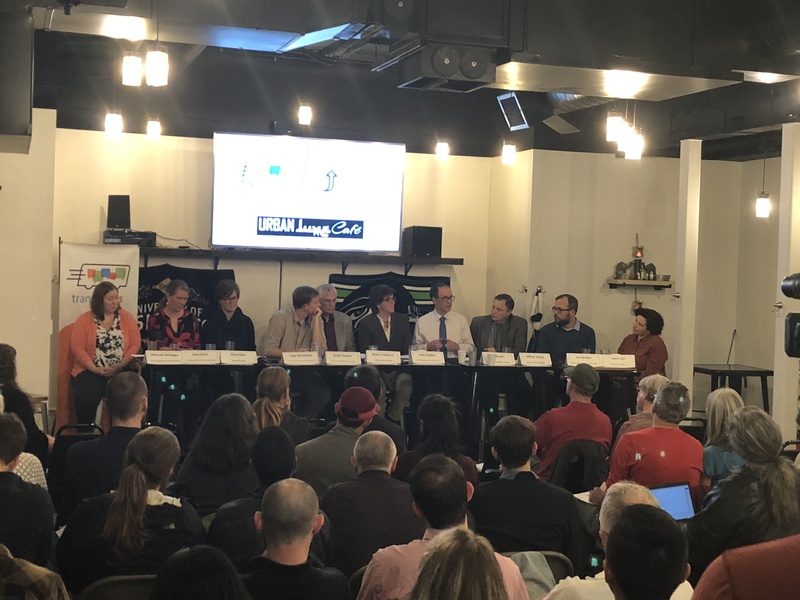 Last week, on October 4, U District, Let’s Go held it’s second Transit Talk, a neighborhood focused conversation that brought the U District, Roosevelt, and Northgate neighborhoods together into one room for an info share and resource exchange. Northlink Light rail stations will arrive in 2021, which means these neighborhoods will be better connected to each other and the region. Now is the time to share, get connected and collaborate! In addition to representatives from neighborhood organizations, public agencies like King County Metro Transit and Seattle Department of Transportation were on hand to talk about what lies ahead in the next two years and beyond. Weren’t able to make it? Check out Seattle Channel’s recording. Huge thank you to Urban Luxe Cafe for hosting our event! Special thanks to our panelists! Here is how you can connect with them. Missed our first Transit Talk? Catch up here! U District, Let’s Go! is a collaboration with Transportation Choices Coalition, Seattle Department of Transportation and U District Partnership, supported by a WSDOT project using Congestion Mitigation & Air Quality (CMAQ) funds.